While 11 of the 12 prescribed sanctions will have little or no effect on India-Russia defence relations, the twelfth, unless waived, has the potential to completely derail the India-US Defence and Strategic Partnership. India, on its way to become a global power, will likely have to follow a zigzag course, balancing between American demands, long-term friendship with Russia and its own strategic necessities in the neighbourhood and beyond. An evaluation of the non-negotiable elements of the CISMOA Boilerplate agreement does not show any element that will have any unavoidable security risks for India. 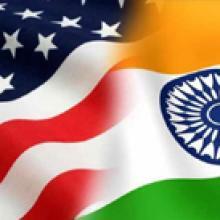 Mutual and shared interests between India and the US must form the basis of an enduring solution to the quandary presented by the provisions of the Countering America’s Adversaries through Sanctions Act. No new initiative likely on strategic cooperation front, and complaints on H1B visa issue unlikely to fall on receptive ears since available data does not support the current Indian urban myth. Modi Meets Trump – What To Expect? The main objective would be for Modi and Trump to come on the same page on key issues such as terrorism, UN reforms, South China Sea and the future of climate change. Nidhi Baraiya asked: Is the US not in favour of India getting the APEC membership? Jagannath P. Panda replies: India’s prospective membership in the Asia Pacific Economic Cooperation (APEC) forum is a long-debated subject. New Delhi has been aspiring for the APEC membership for the last two decades. It had applied in 1997 and again in 2007. Earlier, India’s economy was not viewed as developed enough or sufficiently ingrained into the Asia-Pacific region to be included in the APEC. Alok Deb replies: The biggest asset that Pakistan possesses is its location - a bridge towards West Asia through Iran, towards Central Asia and Russia through Afghanistan, and towards China through Pakistan-occupied Kashmir (PoK). Also, it shares a land border with India and has direct access to the waters of the Indian Ocean. These regions have traditionally been vital to Western strategic interests.